The winter has set in already, and we are already combating with a bad bout of a cough, cold, along with other uninvited guests that the winter brings along. The other things that the winter season brings along are problems associated with skin: flaky, dry, unpleasant skin problems. The skin requires some special care and actual effort in this season. Without immediate care, the dry skin problem can cause bleeding and cracking, and harsh winter wind can make the problem worse. 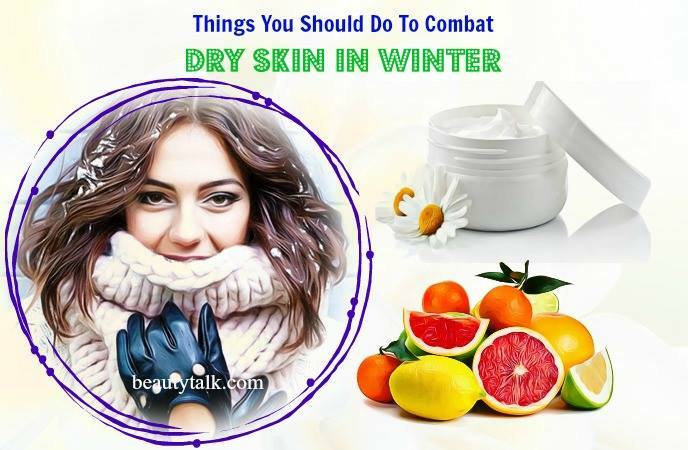 But, keeping the skin hydrated and fresh may become even more difficult when the weather becomes colds and the humidity levels decline in winter months. 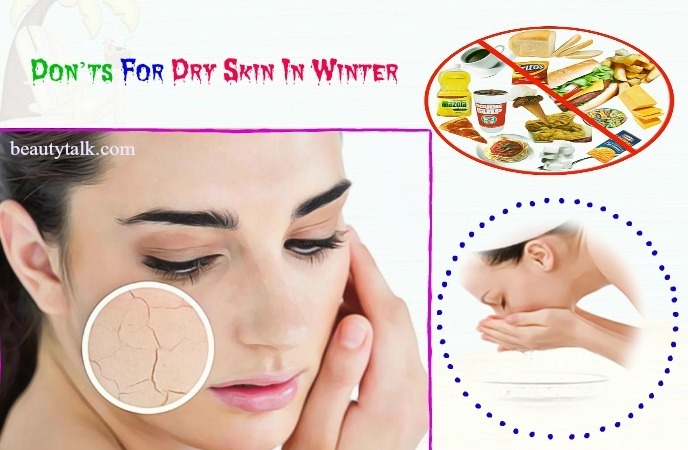 Don’t worry because you can quickly get rid of dry skin in winter months by following some of these proven remedies that work naturally and fast. Continue reading on our site, Beauty Talk, to understand more. Do cover yourself properly especially during the winter months. The skin of hands is thinner than other parts of the body. Thus, you need to wear gloves for them. But, remember to avoid wearing wet socks and gloves because they can irritate the skin and cause cracking, itching, sores, and a flare-up of eczema. Do apply cold cream cleansers to eliminate your makeup. The makeup removing wipes can be convenient, but they have alcohol that dehydrates the skin leading to dry skin. Instead, you should use cold cream cleansers because they effectively remove your makeup by moisturizing the skin. Do get proper vitamins for dry skin care. Vitamins E and C act as a dry skin defender. Their anti-aging agent for treating redness, dryness, age spots, and wrinkles is very prevalent with OTC supplements. These vitamins can deal with the problem of dry skin, leaving behind the flawless and glowing skin. Do apply hand cream after washing your hands to help keep them nice and hydrated. Do change the razor blades often since a dull blade can cause the skin to dry out. It’s recommended to change your blade after 5-7 shaves. Do use moisturizing creams, as they are both gentle and active on the skin. 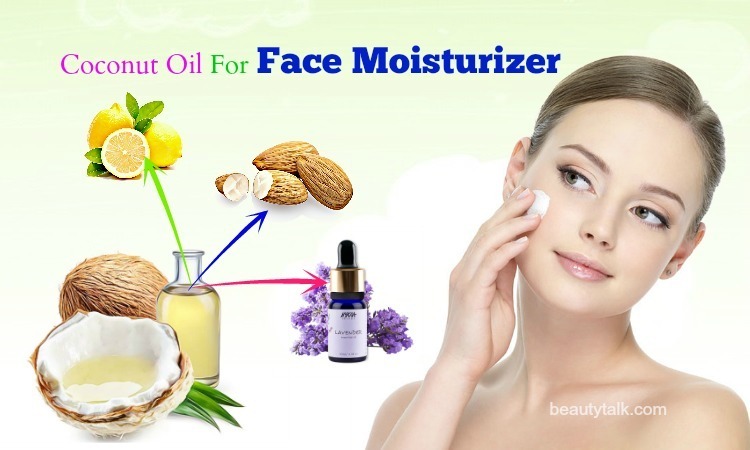 Also, seek for moisturizers containing oils such as jojoba oil, Shea butter, and olive oil. Foods supply essential minerals, nutrients, and vitamins, which the skin cells require for regenerating and growing. Besides, they are useful for preventing and treating the dry skin in the winter months naturally. Pomegranate seeds: They are abundant in polyphenol antioxidants, which can guard against damage from UV rays of the skin, boost blood flow, and fight inflammation. 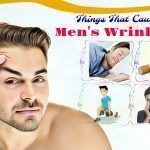 Along with that, they consist of an antioxidant called ellagic acid, which has been shown to lower the breakdown of collagen for fewer wrinkles. You can add seeds to smoothies, cocktails, guacamole, and yogurt parfaits. Walnuts: They are full of ALA (alpha-linolenic acid) and omega-3 fatty acids, which help lock in moisture and protect skin cells, thus strengthening skin membranes. Along with that, they embrace the antioxidants that battle damage of free radicals and premature skin aging. You can add walnuts to your trail mix or oats or toss into salads. Sweet potatoes: They’re sweet for dry winter skin. They are chock-full of beta-carotene, and vitamin A. Beta-carotene strengthens the protective barrier of the skin, helping to plump up and moisturize the skin cells while vitamin A helps with skin repair. You can bake up sweet potatoes fries, sauté into hashes, bake into desserts, and puree into soups. Sunflower seeds: Being rich in vitamin E, sunflower seeds are useful for keeping skin supple. They are ideal for strengthening the skin membranes and protecting against UV damage and free radicals. Apart from that, these seeds are high in omega-6 fatty acids to promote skin growth. Add them to salads, pesto, and granola, and bake into cookies and muffins. Citrus Fruits: They not only add zing to foods but also pep up your complexion. Lemons, limes, oranges, and grapefruit are filled with vitamin C, which can cope with the dry skin and give your skin a glow. This vitamin C additionally works effectively in fading brown spots and fighting the sun damage. You can eat them as a snack or add segments to salads. Salmon: As we know, salmon embraces omega-3 fatty acids that help skin retain more moisture by balancing the lipid membrane. The cold-water fish is rich in vitamin D, which can get rid of eczema, acne, and red skin. You can bake, poach, and grill salmon for dinner. After that, use leftovers for salads, soups, quesadillas, and wraps. 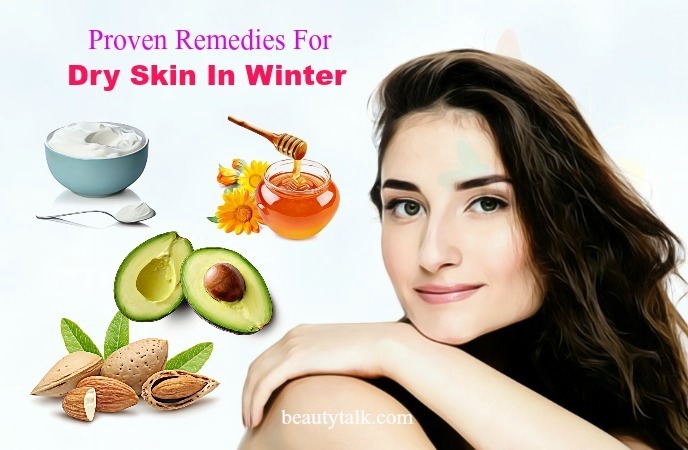 You can easily battle your dry skin problem and enjoy the glowing, flawless, and soft skin throughout the winter months by using the above tips and with the proper care. However, there’re few things that you have to avoid them. 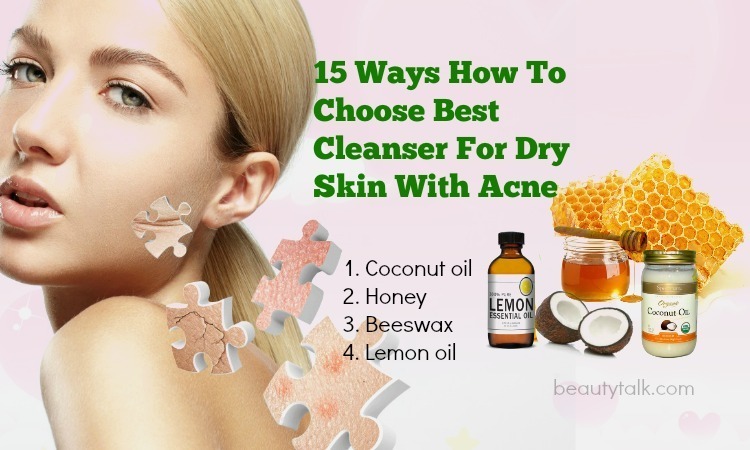 Don’t prefer OTC acne treatment products because they can result in drying of skin. 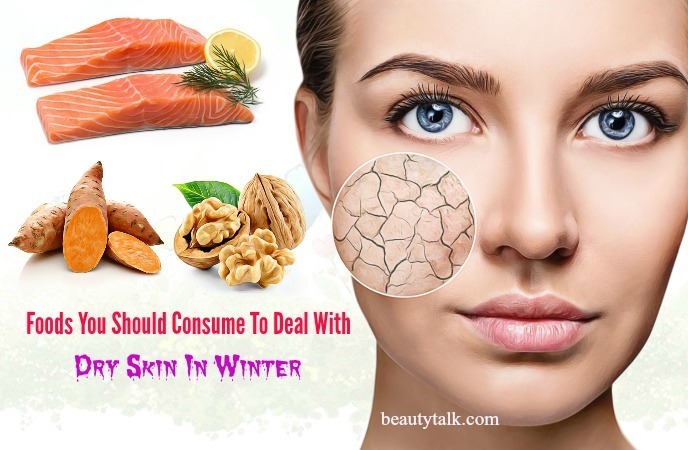 Though these can dry out the acne yet treating acne in the winter season isn’t a good idea because it can eliminate the oil from the skin pores, leaving behind the dead and dry skin. Don’t use gel cleansers. They are ideal for summer months, but they are too insensitive during the winters. Most of them contain ingredients such as salicylic acid and benzoyl peroxide, leading to dry skin. Don’t wash your face and hands or bathe in extremely cold or extremely hot water. Don’t skip washing the face before sleeping at night. Gentle cleansing nightly is vital for the driest skin types. Wash slightly without scrubbing to stay away from irritating your skin. Don’t sit close to fireplaces and other heat sources because they can dry out the skin. Don’t indulge in caffeinated beverages and fried foods during the winter because they can lead to broken skin and clogged pores. Don’t rub the skin when cleansing the face since it can cause inflammation and irritation. Don’t utilize harsh scrubs because they can damage dry skin. Instead, opt for a gentler scrub. Don’t eat foods high in salt since they dehydrate the skin and may make it feel and look drier. Don’t take dairy products because these days, people start to cultivate greedy techniques such as feeding hormones (progesterone) to the cows to double the production of milk. So, when you consume milk, you also get those hormones that can cause dryness, acne, skin breakouts, and aging. Don’t excess intake of caffeine since it is simple carb, which easily breaks in your body and releases a stress hormone named “cortisol”. This hormone will dehydrate your body and causes early aging of the skin. There is a reduced water intake in winters that often results in the dehydration. 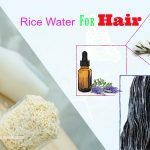 So, you should have the proper hydration and nourishment to keep the moisture & healthy skin. Drinking plenty of water daily is one of the best remedies for dry skin in winter months. However, it’s hard to hydrate the skin via drinking water alone so taking foods with high concentration of water is another effective way to up your intake. Carrots, peppers, and watermelon are a healthy and fantastic way to hydrate the skin and body. These foods also have powerful antioxidants, which aid in preventing winter illnesses. After getting a shower, apply the moisturizer to your body instantly to lock the moisture within your body. Plus, you should update your collection with some products that help to moisture the skin and heal and offer skin repair benefits. After every two hours, reapply the moisturizer. Moisturizers with butter or natural oils are the best for fighting the dry skin. Along with that, they comprise the skin damage healing effects. Taking foods rich in water content is beneficial for hydrating the skin from the inside out. It’s recommended to try watermelon, apples, cantaloupe, kiwi, oranges and watery veggies such as celery, cucumbers, zucchini, tomatoes, and carrots. Plus, you need to get enough zinc and vitamin C to support the healthy collagen and elastin production. Moreover, eat more flaxseed and fatty fish to offer the building blocks to your skin. When the temperature drops, just use the essential body oil to massage your body immediately after your shower. Body oils are ideal for preventing moisture, tightening the skin and even decreasing the stretch marks. Also, oils are high in fatty acids that provide you with the protective barrier to the skin’s outer layer and are also essential for skin nourishment. 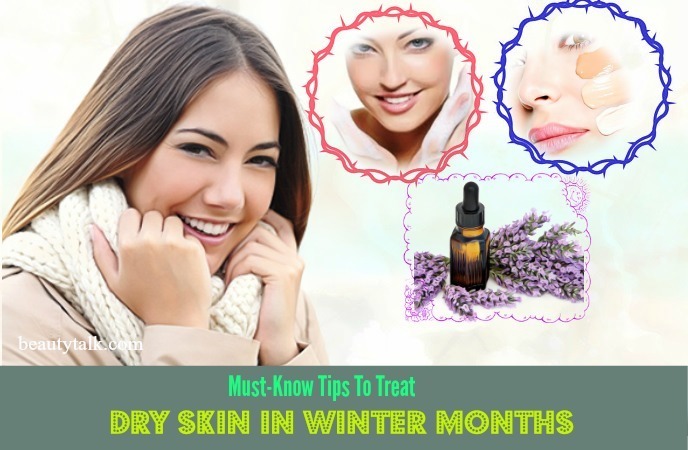 You can choose lavender oil, coconut oil, almond oil, olive oil for dry skin in winter months. In winters, the air can be cooler yet this doesn’t mean you are not at high risk from the harmful UV rays. The sun can be severely damaging to the skin, drying it out, and causing premature aging & sun spots. Thus, always use sun cream to protect your skin. Opt for a sunscreen with the hydrating, nourishing with protecting agents to avoid the problem of dry skin in the winter. Taking a steaming hot shower or bath may be an excellent idea in the winter season but it can cause the skin to dry out because hot water strips the natural oils of your skin faster than cool water. Instead, take a short shower using lukewarm water and use mild or gentle soap or body wash. Make sure to don’t rub the skin with a towel. During the winter, it’s crucial to switch your cleanser since they can be drying to your skin. Select a cream based cleanser or a beauty cleanser for dry skin instead of the lotion or gel. Gel-based cleanser often consists of alcohol, salicylic acid, and benzoyl peroxide, leading to the dehydration of your skin. Try looking for the products containing natural butter or oil for skin miniaturization in the winter season. The natural oil or cream based lotions are the fantastic lotion for dry skin treatment. After cleansing, do not leave your skin naked for more than thirty seconds since this dehydrates it, which leads to increased dryness. Seal in moisture by applying a hydrating toner & moisturizer. Your lips do not have oil glands, so they are almost always exposed to the sun, cold and wind, and dry air contributing to chapped and dry lips. It’s painful and can make them open to cold sores or bacterial infections. With the help of a toothbrush, gently exfoliate your lips to ease flaky skin and form a soft lip. Apply a moisture-rich lip balm afterward. You can also use SPF lip balms because they can inhibit your lips drying from the sun. It’s important to eat healthy along with the right skin care. Your good eating habit will give your skin protection from dryness and enhance the glowing and smooth skin. Omega 3 fatty acids are helpful for maintaining the healthy skin. Also, many vitamins can help to make the skin healthy and glowing. Vitamins facilitate the production of collagen in the skin and give healthier and plumper skin. Try adding foods rich in vitamin E and A in your diet. You have to avoid irritants and allergens that can trigger a flare-up if you have dermatitis, eczema or psoriasis. Skin is more fragile in the winter months, so avoid chemical-laden detergents and irritating fabrics such as wool, and use mild moisturizers and cleansers designed for sensitive skin. 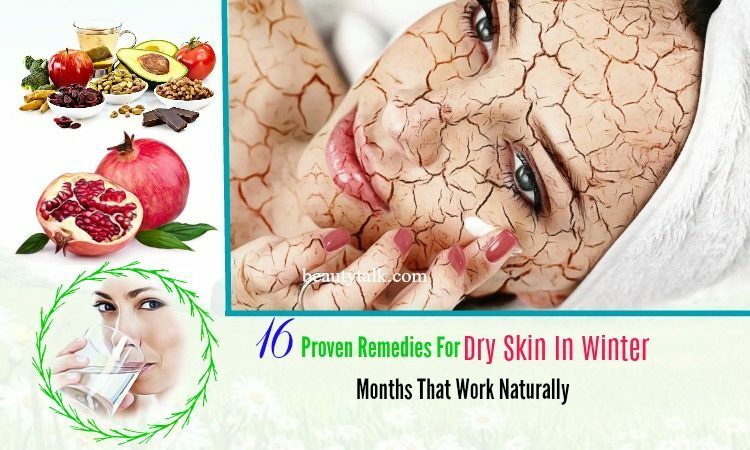 The following home remedies can help you treat your dry skin fast and naturally. Your skin will remain moisturized all the day. Almonds are found in lots of natural skin care products since it contains multiple benefits for the skin. They are rich in essential fatty acids and vitamin E, which work wonders in treating various skin issues including dry skin. Plus, they can deeply moisturize the skin, reduce irritation, and heal UV damage. Milk is an ideal moisturizer for your dry skin. It is packed with acid and enzymes, which will exfoliate the skin and make it glowing, soft, and supple. Using this pack can help lower dryness and make the skin softer. Firstly, make a paste out of the raw milk and almond powder. Apply it to your affected skin and keep it for roughly 10 minutes. Massage gently and after that, wash off with water. If you’re allergic to milk along with milk products, don’t use this face pack. Yogurt is highly effective at cleansing the skin and lightening blemishes, as it is flooded with vitamin B6, zinc, calcium, and other useful enzymes. Buttermilk is rich in lactic acid that possesses a mild peeling agent and assists in clearing dull and dry skin in winters. 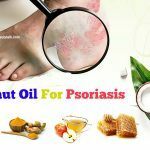 Apart from that, it helps ease the itchiness related to dry skin. Just combine the above components thoroughly and start applying it all over the body. Allow it on for around 15 to 20 minutes before washing off with water. Avoid applying this face pack if you’re allergic to milk products. Olive oil can attract moisture to dry skin since it’s a natural humectant. Lots of people love using olive oil for removing dry skin since it is rich in numerous antioxidants, vitamin K, and vitamin E. Egg yolk, on the other hand, exhibits lecithins and vitamin A, which work well on nourishing the skin and treating dryness efficiently. 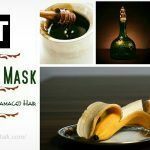 During winters, using this face mask two times per week will make the skin glow. The first step is combining the olive oil and egg yolks. The next step is whipping these items to have a stable mixture. Begin applying the mixture to your skin and allow it to remain on for 20 minutes before washing off with water. 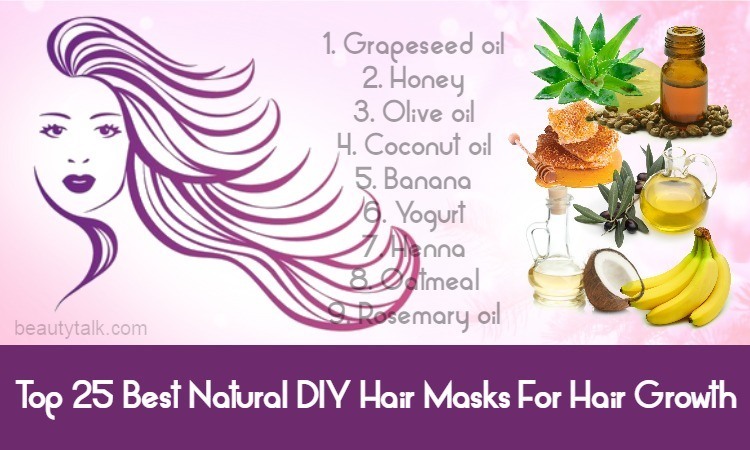 Honey and avocado both are humectants and help battle the problem of dry skin during winters. Avocado can guard your skin against damage of free radicals and keep it hydrated since it’s filled with vitamins E and C, healthy fats, and carotenoids. Honey holds moisturizing properties and antioxidants that keep your skin young looking. Mash the avocado at first and later add the honey to the mashed avocado. Then, apply the mixture to the face & neck. Allow it to dry for roughly 15 minutes and after that rinse with water. Honey comprises anti-inflammatory abilities and helps to calm dry skin during the winter months. 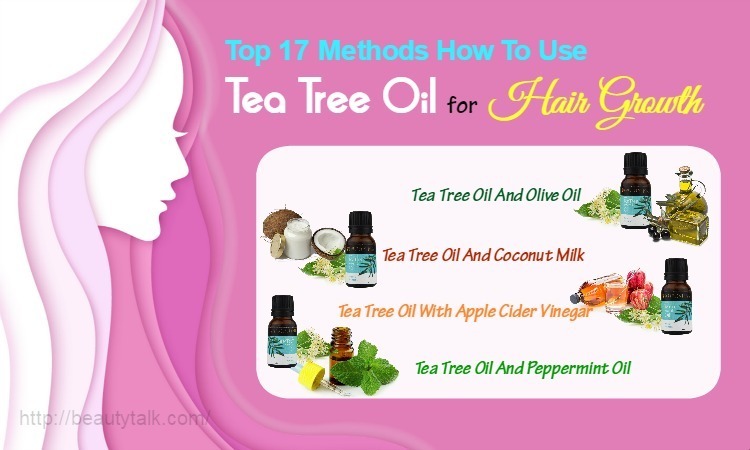 It can lower the itching and dryness of the skin by locking in moisture. Regular application of honey is useful for making the skin supple and radiant. Along with that, its anti-bacterial properties are good at keeping skin infections at bay. Lemon comes with citric acid that helps to smoothen dry, rough skin. The potassium present in it assists in moisturizing and rejuvenating dry skin. 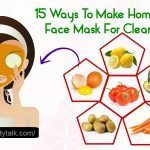 It is also known to decrease the appearance of fine lines and wrinkles related to dry skin owing to its vitamin C.
Firstly, squeeze out the lemon juice and add it to the honey. Then, mix these elements well and use a cotton ball to apply to your face. After ten minutes, rinse with water. After using this mask, apply a good skin moisturizing lotion. Strawberries are chock-full of vitamin C, which helps to alleviate dryness, making the skin smooth, soft, and moisturized. It further owns mild acids that get rid of impurities and dead skin cells to brighten the skin tones. Mash the strawberries at first and later add the cream & honey to it. 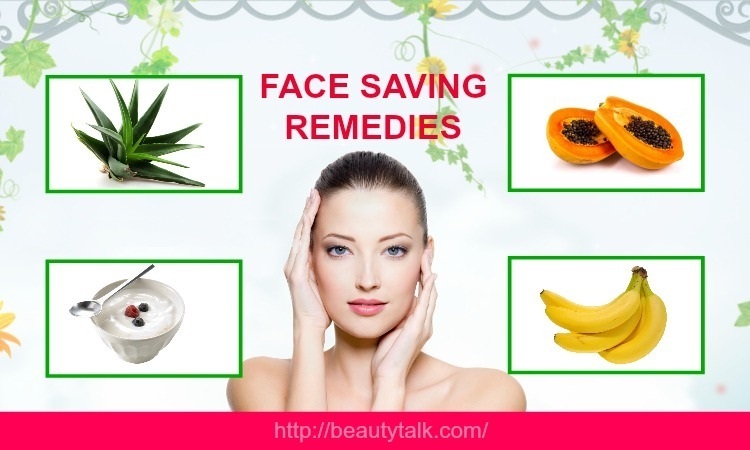 Now mix these components well and apply it to your face, avoiding the lips and eyes. Let it dry for 10 to 12 minutes before rinsing with lukewarm water. Finally, rinse by using cold water to aid in closing the skin pores. Add more honey to this remedy instead of fresh cream if you’re allergic to dairy. In the winter, use a humidifier because it adds moisture to the air of your home, helping prevent the dry air symptoms. Lessen your use of soaps. If necessary, consider soap-free cleansers such as Cetaphil, Aquanil, and Oilatum-AD, or opt for moisturizing preparations such as Olay, Basis, and Dove. Steer clear of perfumed soaps, alcohol products, and deodorant soaps, which can remove natural oils. Avoid bath sponges, washcloths, and scrub brushes to lower the risk of trauma to your skin. Avoid fabric softeners and choose fragrance-free laundry detergents. When shaving, you use a shaving gel or cream and keep it on your skin for a few minutes before starting. Avoid wearing wool together with other fabrics because they can irritate the skin. Try these easy and simple tips and remedies to alleviate the discomfort coming from the dry skin while restoring its natural smooth, soft texture. 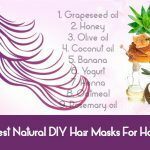 Please visit our main DIY Beauty page to read more other useful articles. Also, share with us if you know other remedies for dry skin in winter months that work naturally and fast. All of the contents provided in this article are for informational & educational purposes. We recommend you consult a healthcare professional to determine which method is appropriate for you.